For almost a century, Reinauer Transportation Companies has been serving the maritime industry. Operating on the East Coast, in Canada, the Gulf of Mexico, the Caribbean and the Great Lakes, Reinauer’s geographic reach is expansive. The company employs a large workforce and operates a variety of vessels including, conventional and tractor tug boats, barges and articulated tug barge (ATB) units. 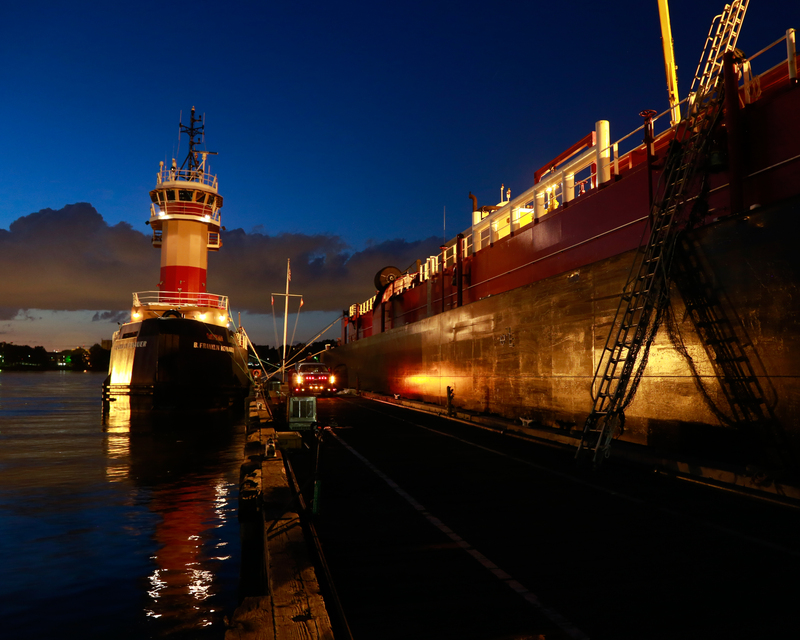 Operating in several business lines, Reinauer has companies in bulk-liquids transportation, towing and vessel assist services, offshore support, shipbuilding and drydock services, and marine construction. This combined experience gives Reinauer a unique and diversified position as a leader in the industry. In 1923, Bert Reinauer, the company founder, recognized the economic opportunity of transporting fuel through the inland waters, and converted a fishing vessel, the JAMES D, into a self-propelled motor tanker, by installing a 13,000 gallon tank into its hold. As the word spread, and demand grew, so did the company. New vessels were purchased and each carried the distinctive insignia of an “R” in a Diamond. In 1930 the Reinauer Family created a new company to serve the New England Area, which eventually became Boston Towing & Transportation (BTT). BTT’s first tanker vessel, the “LUCY REINAUER,” has the distinction of being one of the first all welded steel vessels in America. The company's origins that were initiated by Bert Reinauer were furthered by his family and today Reinauer continues its family tradition and is now entering its fourth generation of management. The dynamic resourcefulness, and inventiveness, of Reinauer’s early history have stayed with the company to this day.